Hi All! I've been trying to work through my long list of card orders this week and have made some progress (thank goodness!). I'd like to share a card that's for our boss at work...she's gotten a new position and will be moving to another department and we're all extremely sad to see her go. I was asked to make a couple of cards for everyone to sign and this is one of them. 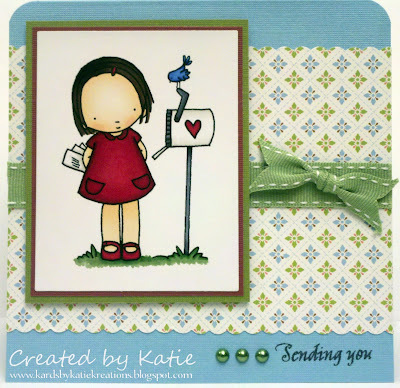 I've been a huge fan of the Pure Innocence stamps that Kim carries over at My Favorite Things since I first stumbled across pictures of cards using them on her blog. However I had yet to buy any because every time I went online to purchase things my basket started overflowing with other stamps (like the WTG line and the Ala Modes- but that's another post entirely!) and I always found myself saying "I'll get them next time". So imagine my surprise when I somehow stumbled across the illustrator of these images Heather Ellis', website with Pure Innocence images in digi form! Suffice it to say I was hooked. 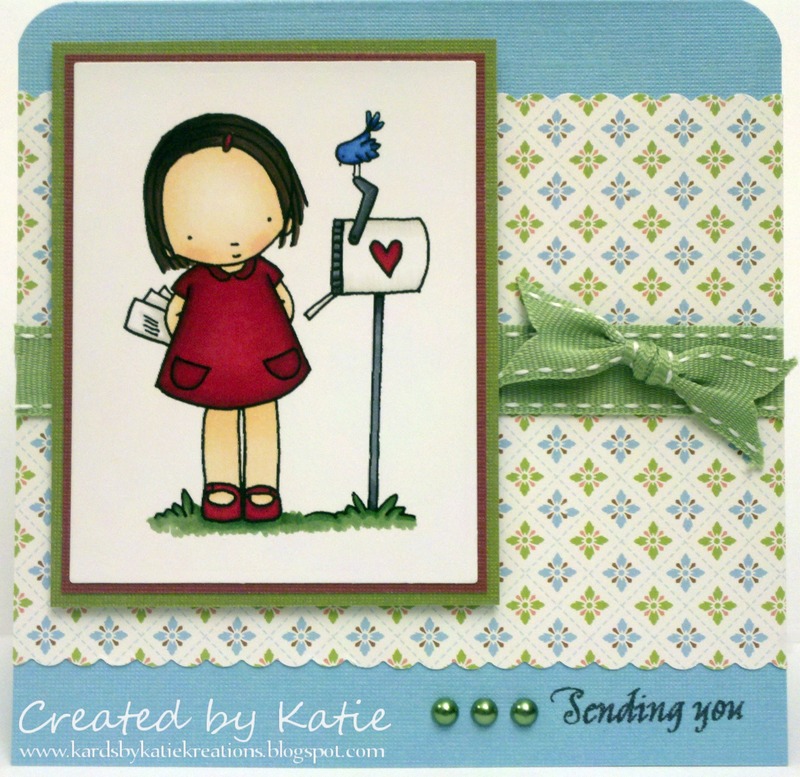 This is my first card using one of her images and I just love them! Ooh love it Katie! Thanks for the link I have my own images too now!! 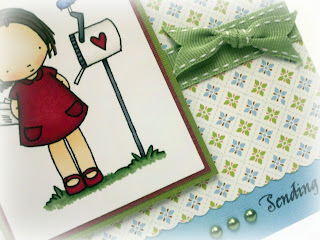 Thankyou for the links,after looking at your gorgeous card I had to go and take a peek. Those images are soooo sweet!